That rumored Ford Raptor fighter from General Motors? Not quite. 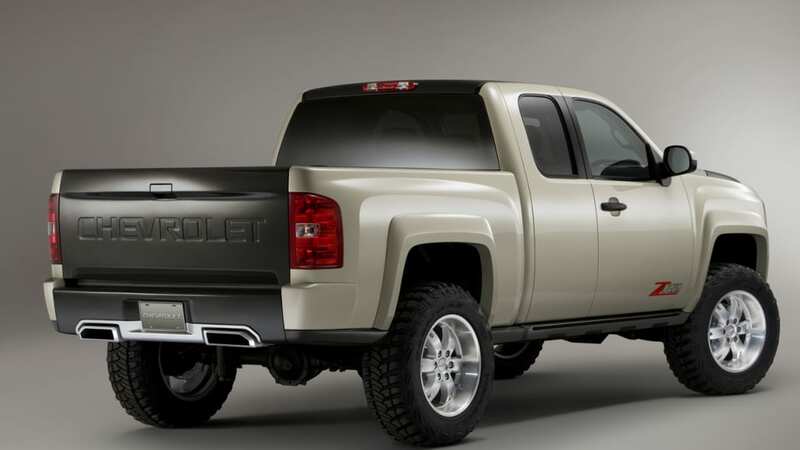 The Chevrolet Silverado ZR2 Concept (it's only a concept, but some of the components could be available on future pickups) is a reasonable attempt to bring the off-road fight back to Ford, with a four-inch lift, 20-inch BBS RD wheels, BDS shocks and a 550-hp supercharged version of GM's LS crate V8. But the real work is hidden beneath the clear coat, with carbon fiber body panels replacing the steel hood and fenders. And that new fascia? 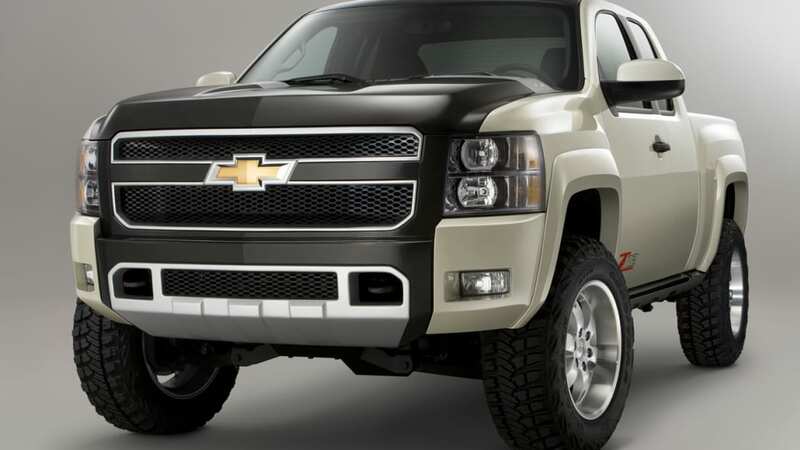 Don't be surpised to see a modified version affixed to future Silverados. 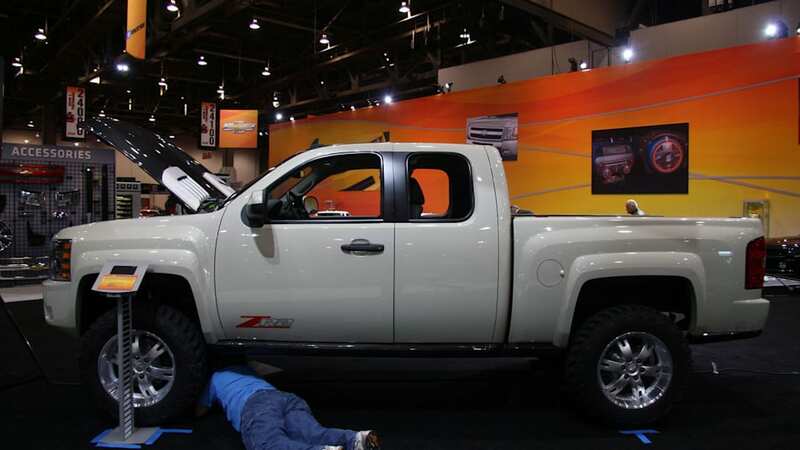 Check the gallery below for live shots from the floor and make the jump for Chevy's brief press release. 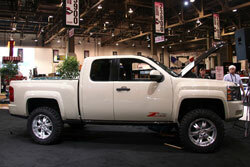 At a glance, it's clear the Silverado ZR2 concept wasn't designed to haul flowers back from the nursery. With its widened body, tall stance and powerful LS supercharged engine, it is ready to hit the berms, dry washes and gullies of the Baja Peninsula. 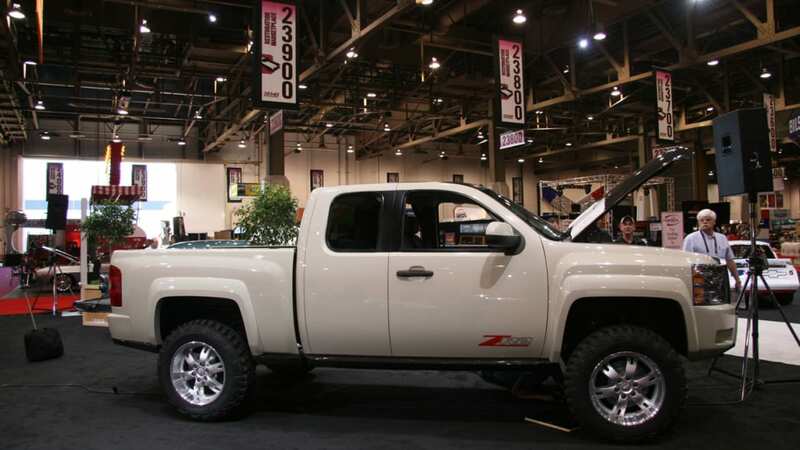 The Silverado ZR2 is based on an extended cab/short box body. 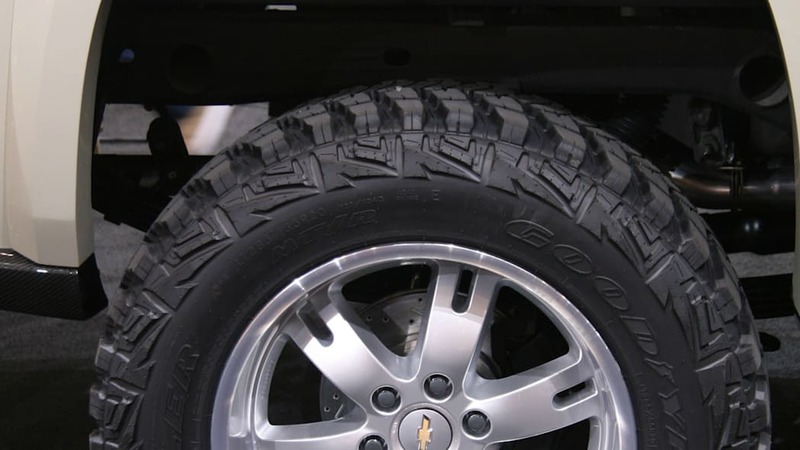 The custom bodywork includes carbon fiber fender flares that stretch outward to cover the 35-inch-tall Goodyear Wrangler off-road tires and widened stance. 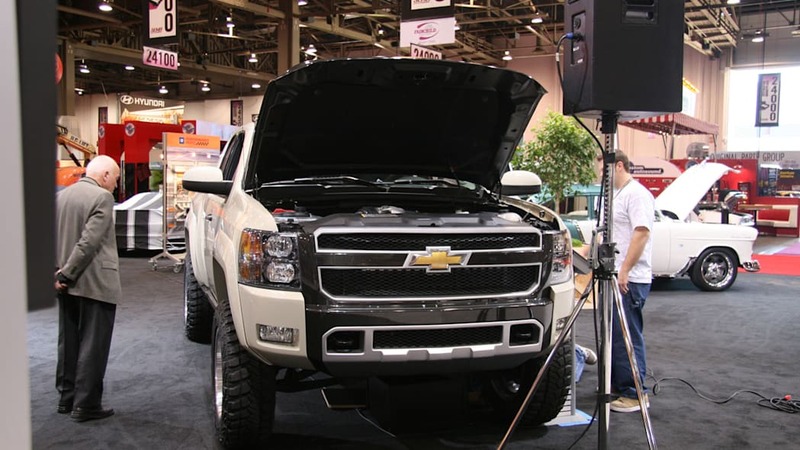 Much of the truck's body is made of carbon fiber, including the front fenders, extractor-style hood, rocker extensions and tailgate, which features large, debossed CHEVROLET lettering as a nod to Chevy trucks of the past. 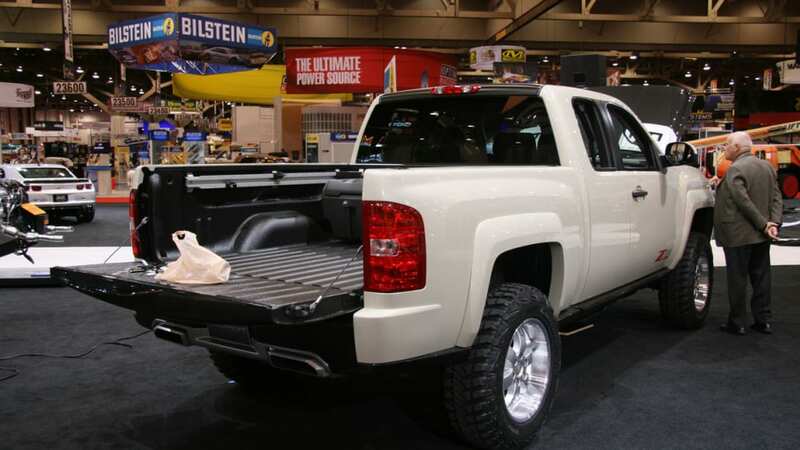 The pickup box, which is protected with a spray-on liner, features a unique locking storage system mounted to the extruded aluminum Cargo Management System rails from Chevy Accessories. 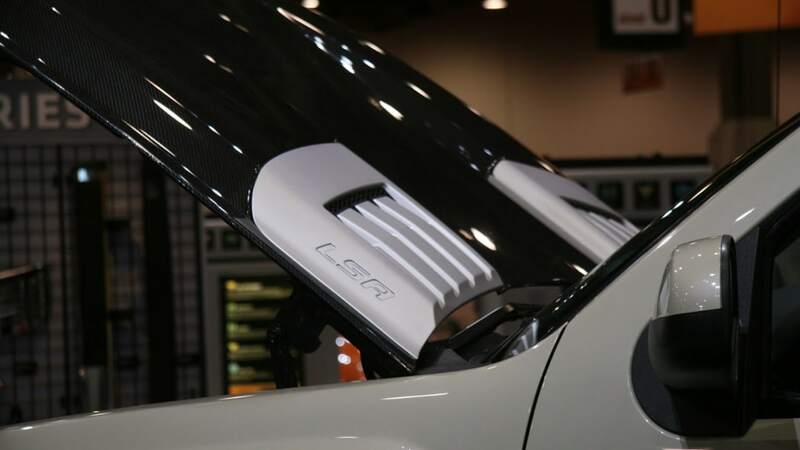 Many of the carbon fiber parts, including the hood, are clear-coated, rather than painted, to show off the intricate weave pattern of the high-tech, lightweight material. The parts that aren't clear carbon fiber are painted Dune Metallic, a color that blends with the desert terrain. A large, more prominent grille is also part of the package and is a vision of what designers would like to see in a production or accessory part. 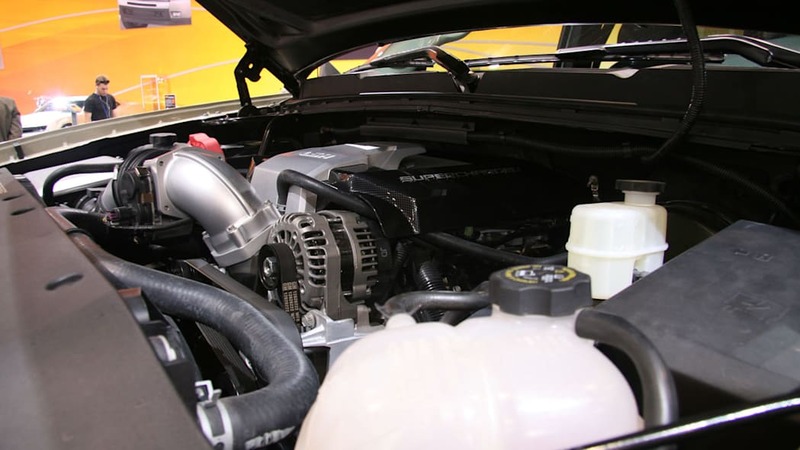 It is very functional, feeding cool air to the 550-horsepower LS supercharged crate engine from GM Performance Parts. 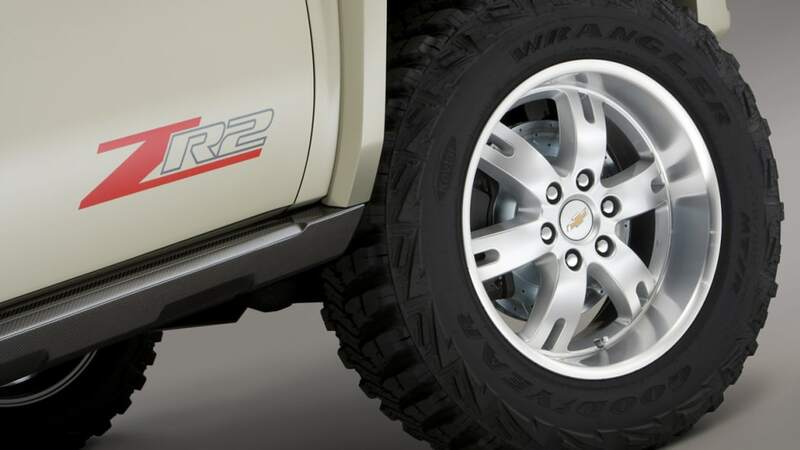 The combination of 20-inch BBS RD wheels – reminiscent of historic Chevy truck wheel – and aggressive Goodyear Wrangler MT/R tires connect to the chassis via BDS shocks and a four-inch lift kit to help negotiate those desert trails. The new front fascia dramatically improves approach angle and skid plates protect the chassis. 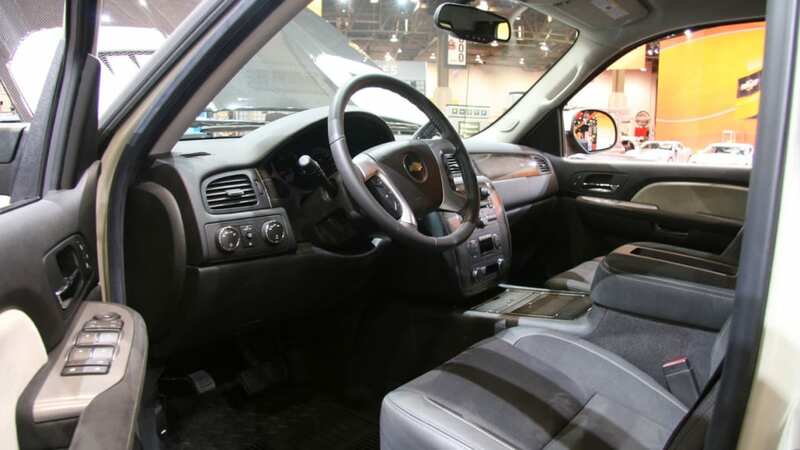 The interior features more carbon fiber details on the dash, along with black leather and suede-trimmed seats with contrasting stitching to those trail runs more comfortable. "There's more to this concept than meets the eye," said Dewar. "Some of the components are being explored for possible inclusion in upcoming models."